This four-bedroom Dales Cottage has been sympathetically renovated throughout to keep many original features including beams, alcoves, stone shelves, exposed stone work, cast iron radiators and plantation shutters. 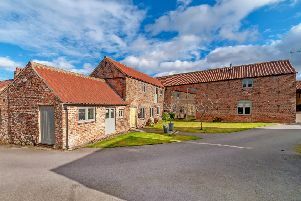 It has oil fired central heating, under floor heating and is immaculately presented and beautifully decorated, according to agents Robin Jessop. I is situated within the Yorkshire Dales National Park and has views across coverdale. Delightful Gardens. Contact Robin Jessop on 01677 425950.